Supporting all people affected by crime, for as long as you need us. Located in Newcastle NSW, VOCAL’s Victim Support Unit, is partially funded via Department of Justice (Victims Services) which enables us to provide a free service to people in the Hunter Region. We believe timely and accurate information, along with practical and positive emotional support, is paramount to recovery. We aspire to empower clients to make informed choices as they encounter complex health challenges, services, legal issues and processes. Established in 1989, the Victims of Crime Assistance League (VOCAL) Inc NSW is a gift-deductible charity assisting people harmed by crime, throughout NSW. 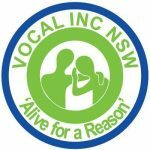 We regularly provide written and verbal submissions to the NSW Government around legislative change on issues important to victims of crime.We invite you to join please join us as a financial member ($15) or to join the Committee and be part of a dynamic, evolving strategy of care and positive change for crime victims in NSW. Please consider donating to our charity, and all donations over $2 are tax-deductible. Thank you for helping us to help those in need. For information about the NSW legal system and criminal justice. Our trauma informed specialists strive to educate, inspire and empower victims of crime. For information about different types of crimes people may encounter.